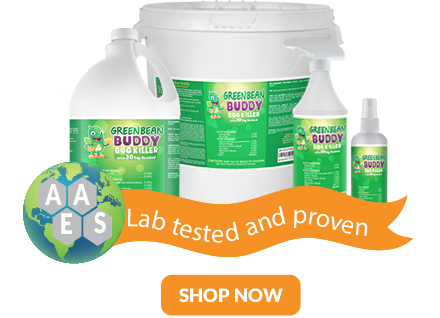 As you begin treating your infestation with Green Bean Buddy you will start to notice the residual that kills pests immediately, but also as the days pass… it is also formulated to cause pests to scatter away and pass the formulation back into the nests and amongst the young. The formulation is kills in all states of pests life cycle. This includes and is not limited to bed bugs, roaches, fleas, ticks, ants, spiders, mites, dust mites, aphids, gnats, and other pest similar to the genetic make-up. The best way to use Green Bean Buddy bug killer is to spot-treat hot spot location areas of pests, no need to drench the area. Then re-treat every 7 to 14 days until the infestation is gone. The residual will do most of the work, but we are re-treating to protect you from infestations that occur from external sources not within your property. Does green bean buddy work? Below is a video showing customers feedback and who have reviewed Green Bean Buddy bug killer. These real-life success stories have come from live chat, reviews on product pages, and phone and emails from clients. The community is honest and helpful and we love hearing about people’s success in getting rid of their pests without using harsh pesticides. The video below describes the process of how Green Bean Buddy works. We focus on bed bugs, but the formulation is not limited to this pest alone. In fact, this video was used in a presentation for our resort clients to demonstrate the process to their management staff so they knew how to use the product. It will give you a better understanding how powerful the product is and why health facilities, resorts, and agriculture companies use our products to combat pests. Hacking Neuro-Transmitters: This stops the production of octopamine in the bed bug, flea, tick, roach, ant, spider, mite, beetle or any other pest since the genetic make-up is similar. Dehydrates to Stop Re-Birth Cycle: Not only will it kill the pest, it is designed to stop the the re-birth cycle of the female egg layers. A powerful pest control without dangerous pesticides. Creates Barrier to Stop Re-Infestations: The formula contains what the industry calls a “residual”. This means you spot treat and it leaves a residue which kills pests and prevents them from re-infesting your property. They will literally scatter away from formulation. 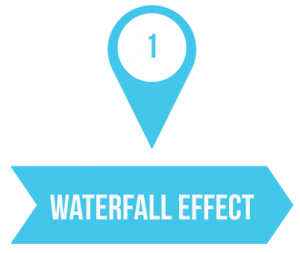 Waterfall effect – the pest scatter from hiding locations, you may see more initially. This is because they are coming out from hiding location you did know existed. Panic cycle – pests may bite/feed more, as it’s trying to survive. Don’t be alarmed, but you may feel more bites (if they are biting pests). This is the pest on it’s last breath trying to survive. Death from dehydration – destroys pests in all life-cycles and leaving a residual on surfaces to prevent re-infestations. The video below explains clearly what you will notice when using the product. We know this is a stressful situation and we appreciate you allowing us to help you thru this. In hopes of showing you are commitment and good faith as your supplier of pest control products. We are happy to offer any advice we can to help you. We will do our best to reply, but please be patient as we are helping a large number of customers around the globe. 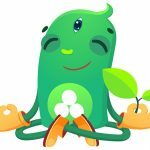 Have questions on how Green Bean Buddy works? Just ask us here. We will do our best to answer the comments. We believe we are all in this together. I purchased two of spray 32 sizes why in your advertising picture it shows comes with spray top when I received them have no spray top with them . I know that is a false advertisement so please send me two sprays that will fit my 32 oz bottles . Hi Mary, A green bean buddy has checked your order and noticed the sprayers were sent in a separate shipment. You should see them delivered shortly to your door. All the 32oz comes with sprayer, its just that they were in separate shipping boxes, so no worries its own its way. Thank you for your order, let us know if you need anything else. I ordered your product for my son. So the shipment will go to his place. Will the package have instructions on how to use the product and what to expect? He does not have a computer so he does not have access to you. He uses me for information. 1. You should receive a PDF guide in order email. This can be printed out in library or at office center in town. If you did not receive that, contact our support team, they will give you a direct link to download it. Actually, I will have our team send this document to the email you have here. Just let me know if you need anything else. I order a gal of this and there’s no directions to this what do I do??? Thanks for reaching out. Our apologies for the confusion, we send procedures to your order email and there is instructions on the label, but no worries. I will direct you to the procedures here, thanks for letting us know you didn’t get them. Be sure to follow the inspection part, so you know where these bed bugs are hiding. That will lead you in the right direction for treatment. If you have question, post a comment on any of those guides and also we have live chat support if need any emergency. Thanks for choosing Green Bean Buddy, we hope to infuse wellness into your home and life. Yep, the formula works for bed bugs, roaches, fleas, ticks, ants, spiders, lice, carpet beetles, mites, and other pest similar in genetic make-up. Since these pest have the same genetic design, the formula will kill these pests and has a residual you can use when spot treating to prevent re-infestations (like a barrier). Why don’t you sell your product in Canada?